Product prices and availability are accurate as of 2019-04-21 08:28:02 UTC and are subject to change. Any price and availability information displayed on http://www.amazon.co.uk/ at the time of purchase will apply to the purchase of this product. Simply Sofas are now selling the acclaimed Brand New Candy 3+2 Faux Leather Sofa Suite In Black for a slashed price. 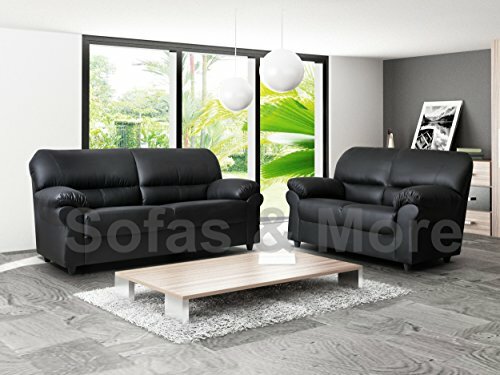 Don't lose out - buy the Brand New Candy 3+2 Faux Leather Sofa Suite In Black here today! Brand New 3 +2 Seater couch Set in Black Faux Leather 3 seater Dimensions: Width 185cm Height 85cm Depth 85cm 2seater Width 150cm Height 85cm Depth 85cm Please note the minimum door frame width is 70cm.